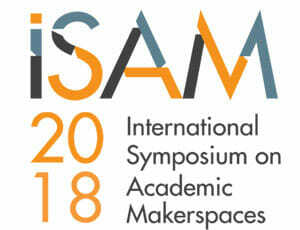 The California Council on Science and Technology (CCST) joins with the California Community Colleges CCC Maker program in welcoming the 2018 International Symposium on Academic Makerspaces (ISAM) to Stanford University, California, this August 3-5 (isam2018.hemi-makers.org). The CCC Maker and CCST delegation will present three case studies at the conference. The first will discuss leadership and implementation strategies employed in the CCC Maker initiative to establish a statewide network of community college-based makerspace hubs across California. Another will highlight a localized reflection of the CCC Maker initiative – a K-14 and beyond, community-wide maker network success story via Allan Hancock College in Santa Maria, California. The third, via Folsom Lake College in Folsom, California, will showcase examples of maker curriculum being incorporated into community college courses that traditionally do not have a STEM component. In April 2016, CCST completed the report “Promoting Engagement of the California Community Colleges with the Maker Space Movement” for the California Community Colleges Chancellor’s Office (CCCCO) and its “Doing What MATTERS for Jobs and the Economy” framework. The report served as a roadmap for the CCCCO and its CCC Maker program to gather, guide, and empower community colleges – ideas for forming local partnerships spanning academia and industry and ultimately establishing regional makerspaces. 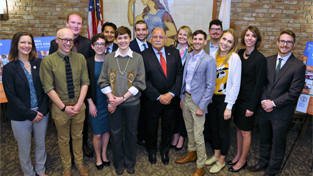 To date, the CCC Maker program has leveraged $17M in state funding to host a series of concept orientation symposia around the state in 2016, and awarding planning grants to 24 community colleges to scope and pilot their ideas for organizing maker hubs, designing maker-mentality curriculum, or ensuring community access. CCST helped guide further workshops in August 2017 at the University of California, Berkeley, and again in March and April 2018, at CCC Maker campuses Glendale Community College and Folsom Lake College. These events allowed grantees to share ideas with fellow makers from across and beyond the emerging network and hear insightful testimonials from student participants – the ultimate beneficiaries of this statewide endeavor. The CCC Maker effort has been covered by Comstock’s magazine and in the Make:Education newsletter, and collaborators have taken part in other national gatherings such as NOMCON 2018. This June, the CCC Maker initiative also published “The California Community College Makerspace Startup Guide – Preparing Students for Jobs of the Future” – which describes the planning process used by college teams to build makerspace communities that prepare students for the innovation economy. The open-source guide is available online at the CCC Maker website (www.cccmaker.com/startupguide). “We join others in this work because the future of work needs critical thinkers, creative hackers, and entrepreneurial do-ers from all backgrounds,” says Van Ton-Quinlivan, California Community Colleges Executive Vice Chancellor for Workforce & Digital Futures and a member of the CCST Board of Directors. The California Community Colleges System, Stanford University, and the University of California System are partner institutions of CCST, which was established in 1988 via Assembly Concurrent Resolution 162 (Farr) as a nonpartisan body which would respond to the Governor, the Legislature, and other State entities on policy questions relating to science and technology. In addition to creating a community colleges makerspace roadmap, CCST has led other studies on California’s STEM workforce over its 30-year history, including reports anticipating the impact of digitally enhanced education and forecasting the future profile of California’s STEM workforce. The California Council on Science and Technology is a nonpartisan, nonprofit organization established via the California State Legislature in 1988. 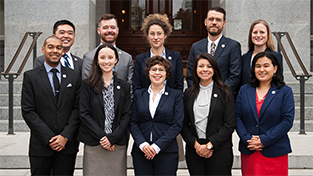 CCST engages leading experts in science and technology to advise state policymakers – ensuring that California policy is strengthened and informed by scientific knowledge, research, and innovation. Follow CCST on Facebook, on Twitter, and on LinkedIn.